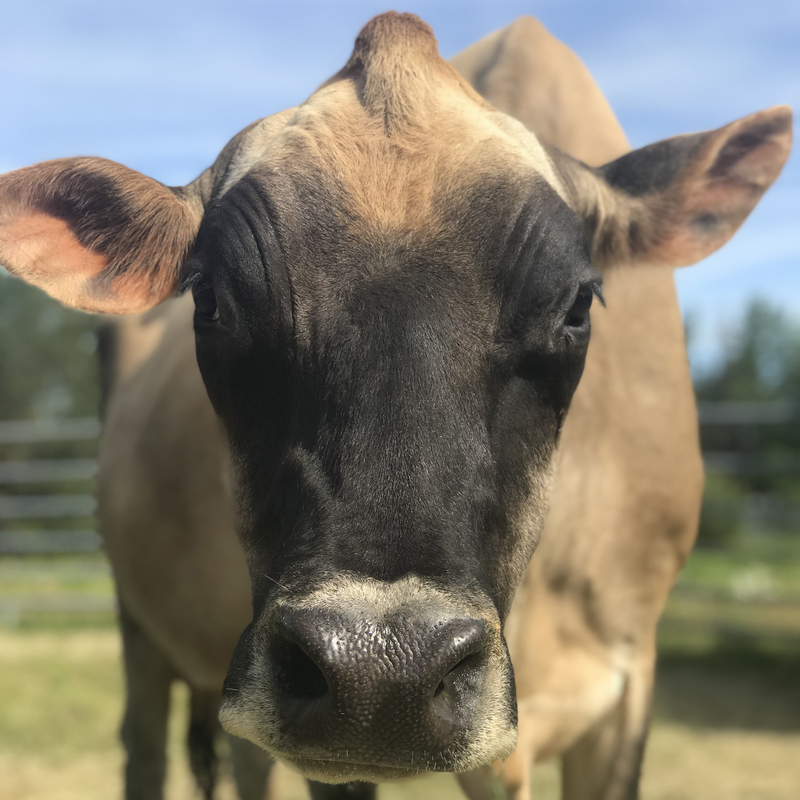 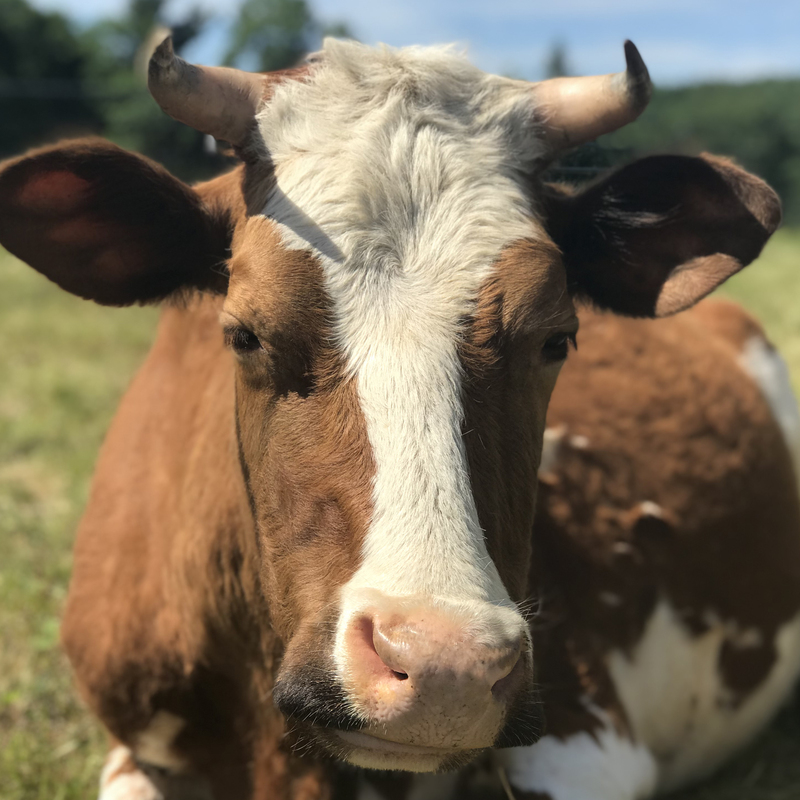 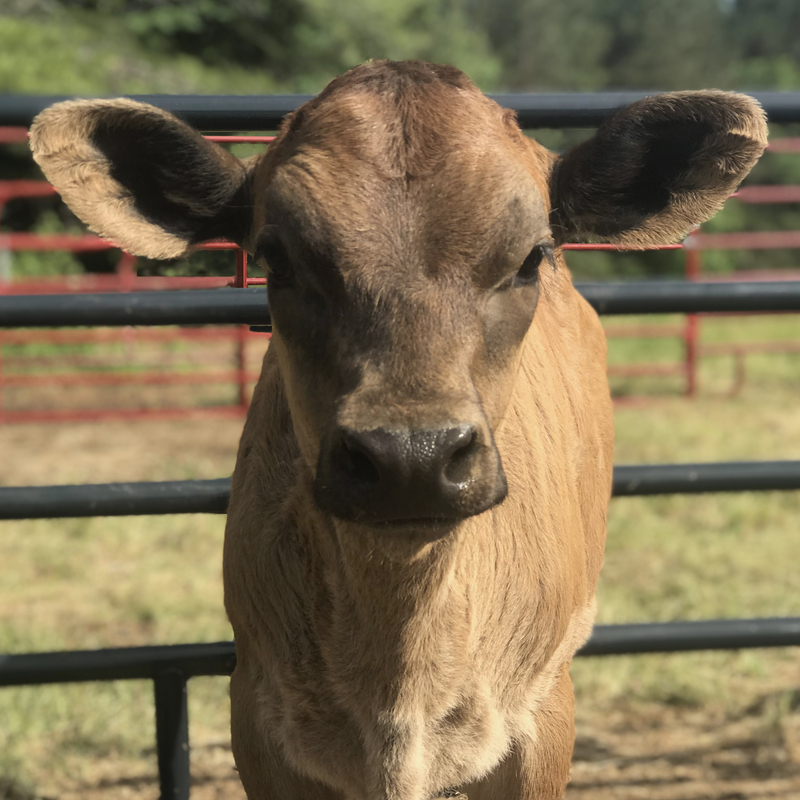 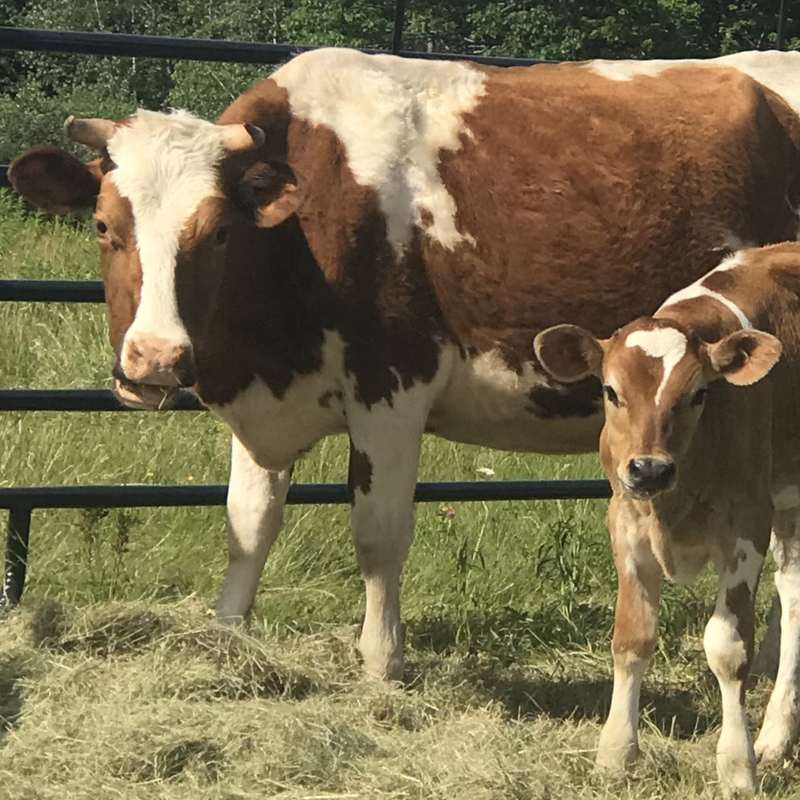 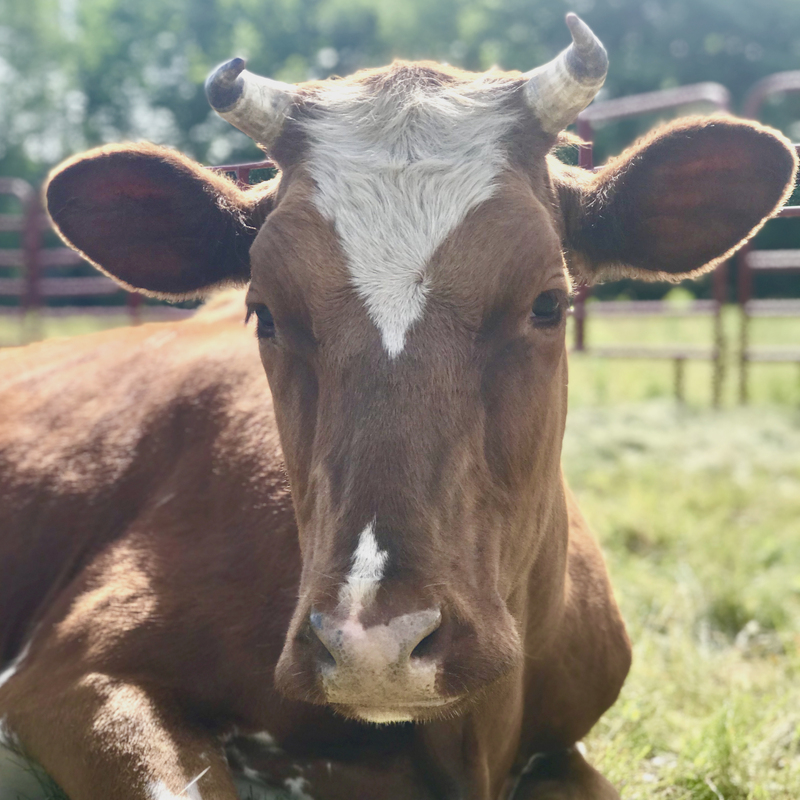 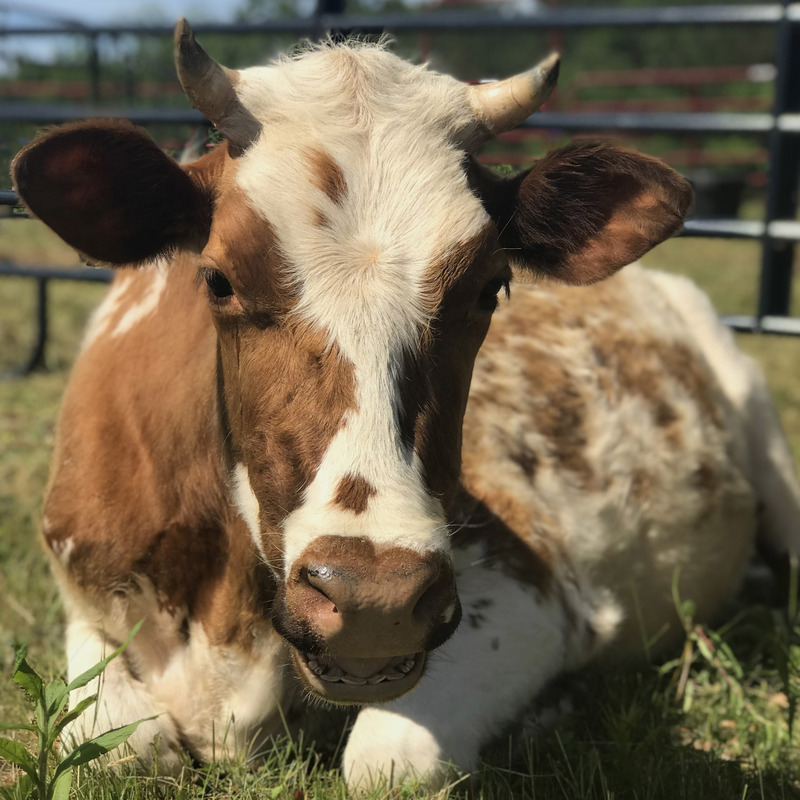 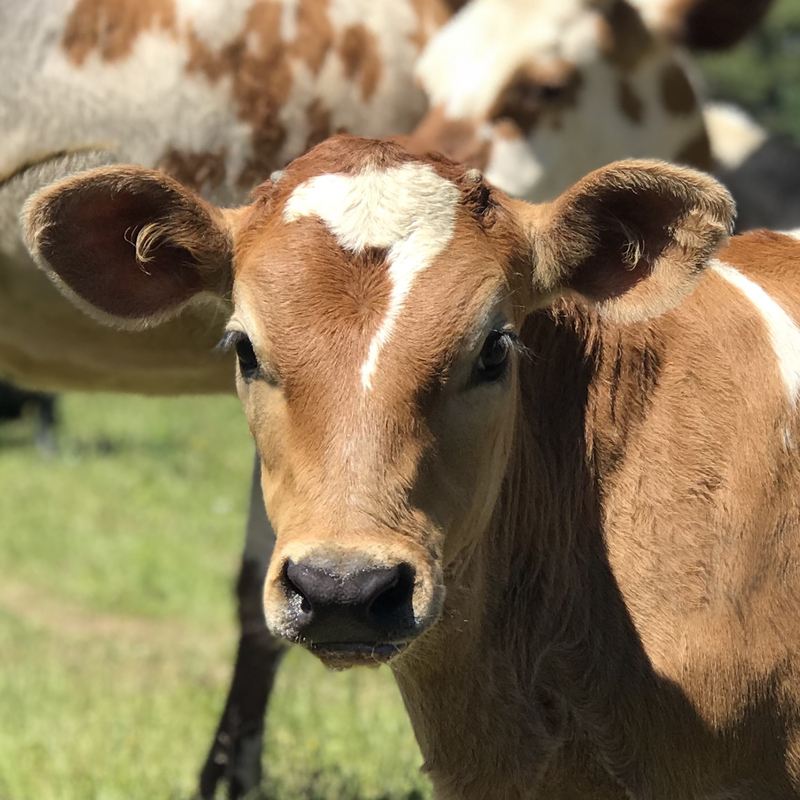 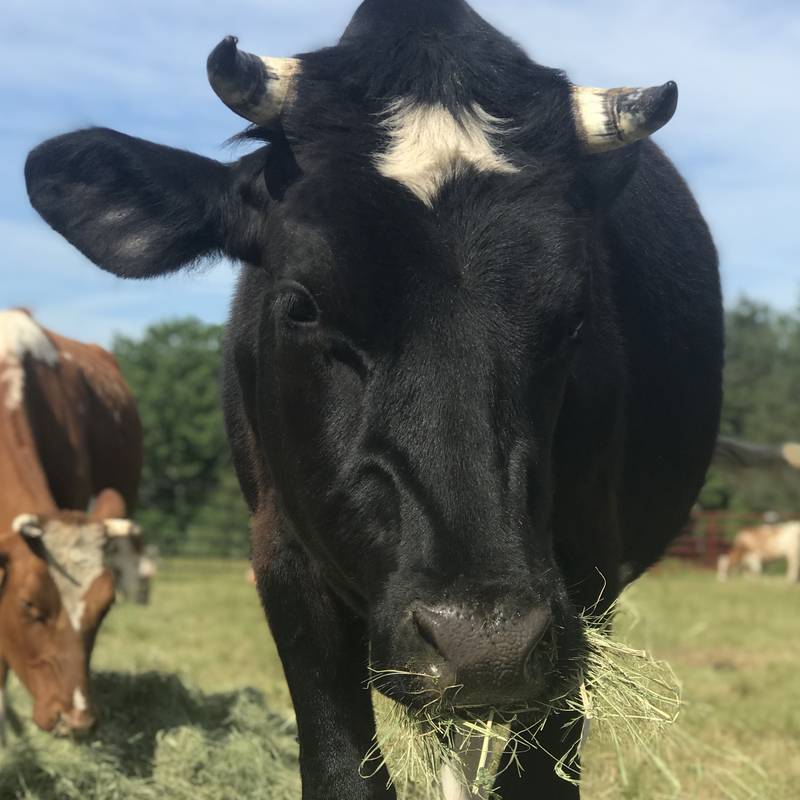 The Maine Animal Welfare Program recently seized 15 cows, shutting down a dairy farm due to abusive conditions, but these cows are finally (and forever) safe from harm at Peace Ridge. 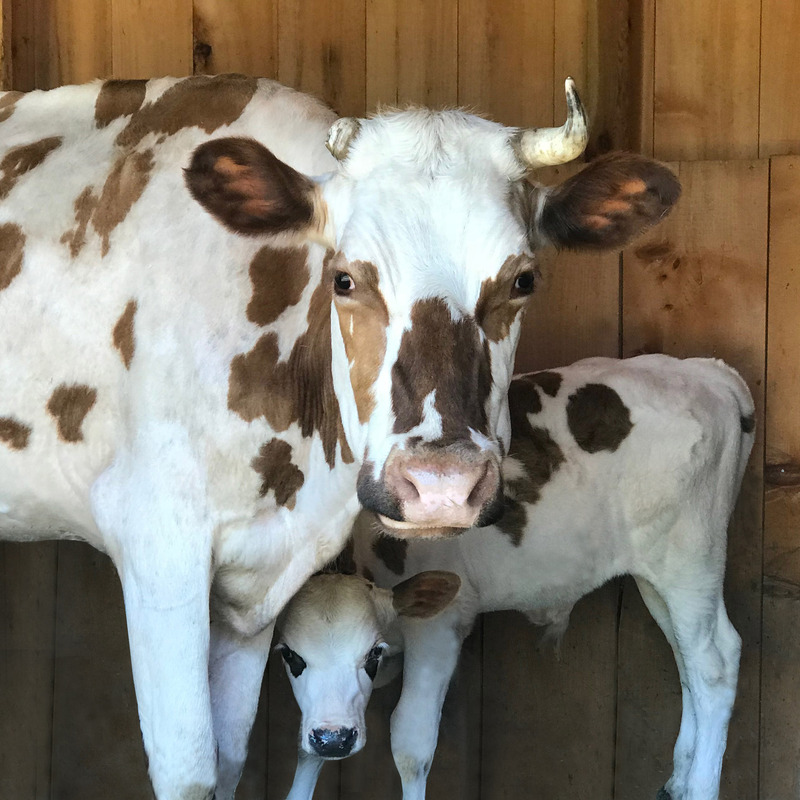 This recently rescued herd includes 10 female dairy cows (2 of whom are pregnant), 1 bull, and four young calves. 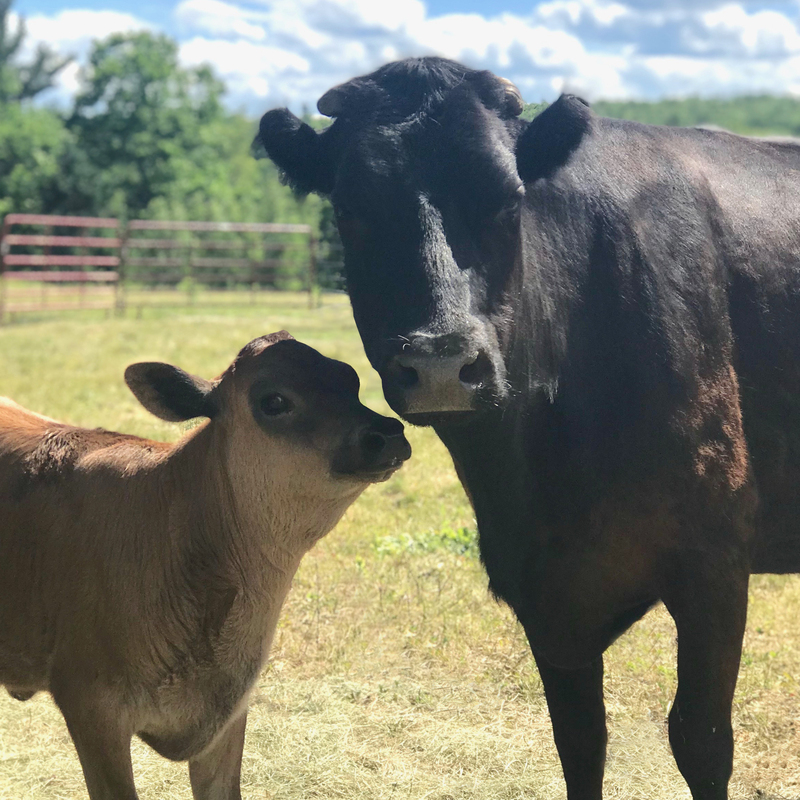 We are thrilled to be able to provide these cows with a safe, loving home for the rest of their lives, but we can’t do it without your help. 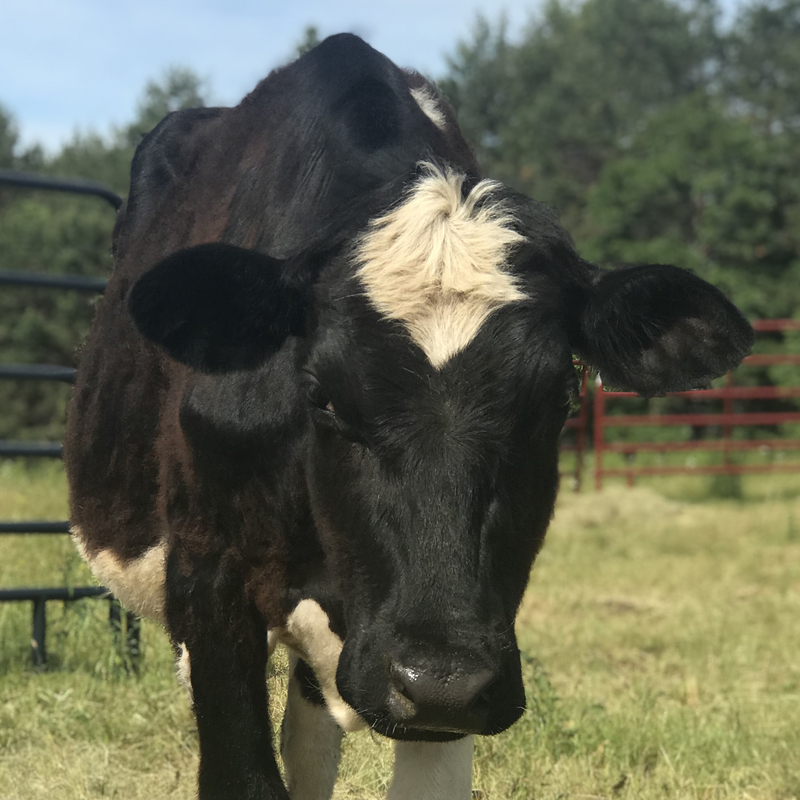 Please sponsor one of our newest residents today! 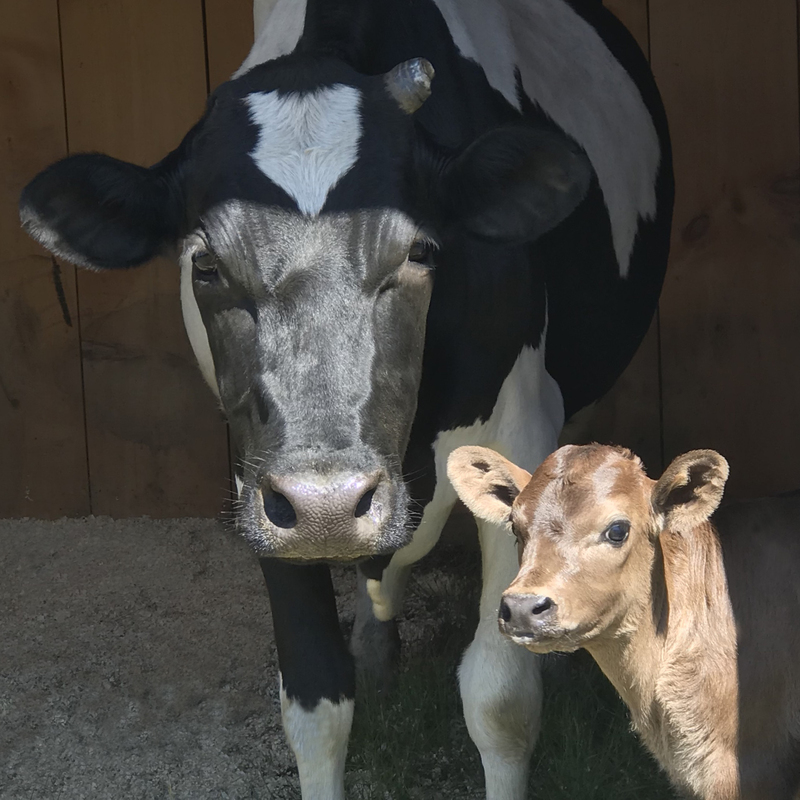 Sponsorship packages are available for individual cows or calves and mother/baby pairs and also available as one-time or monthly gifts. 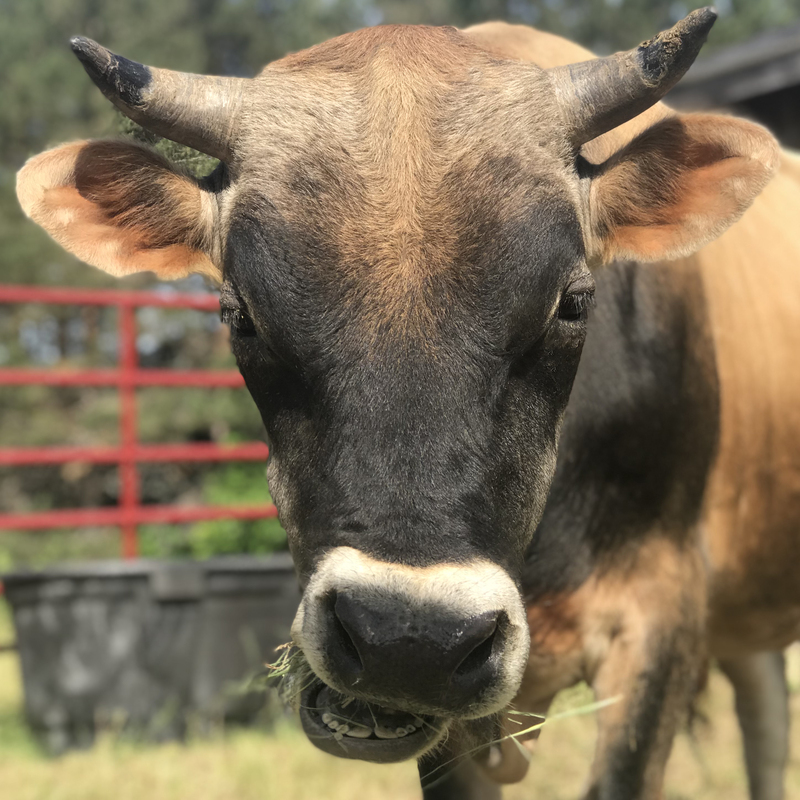 Your one-time gift will help with care, shelter, and food for our rescued cows. 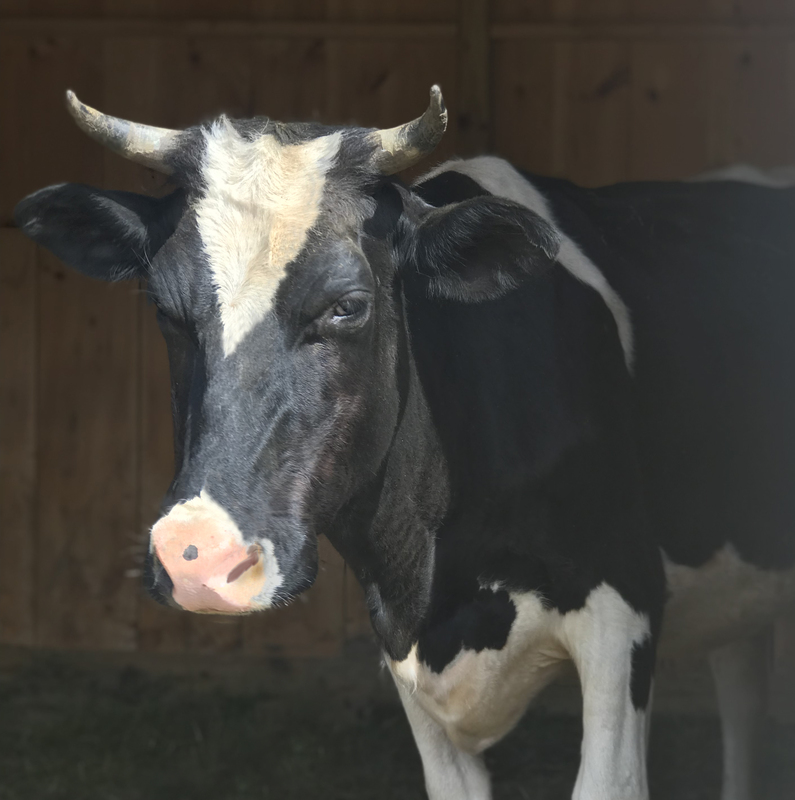 You will receive a sponsorship package with the story and photo of the cow you choose. 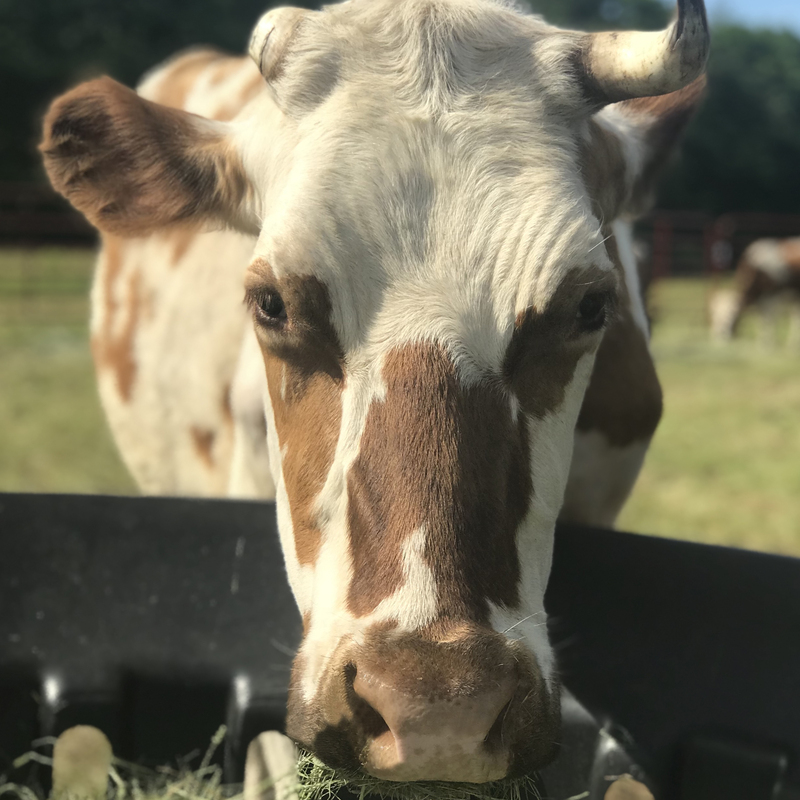 Commit to a full year of giving! 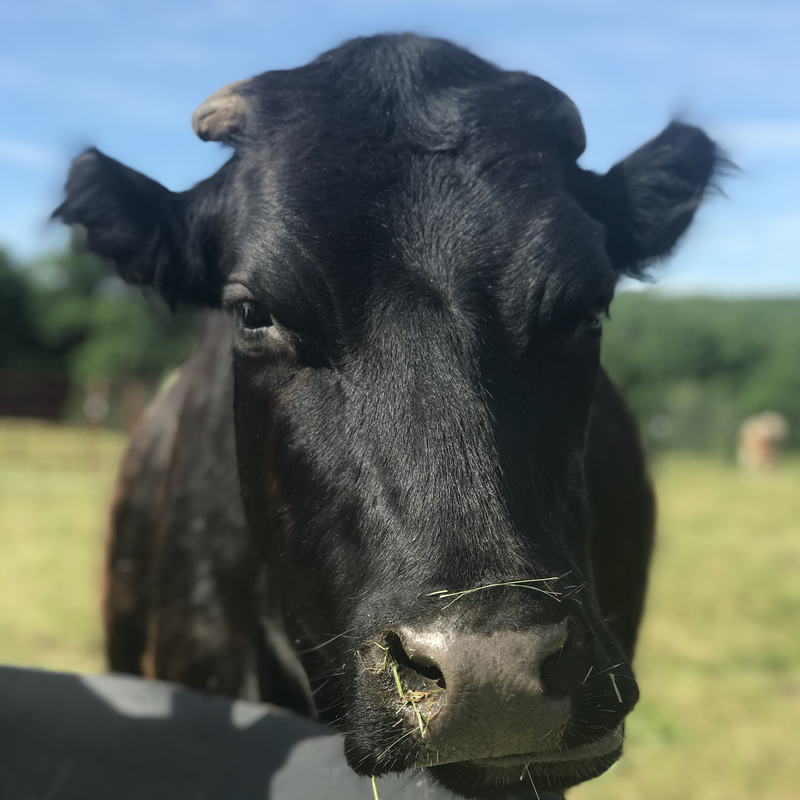 In addition to your sponsorship package, you can have one-on-one time at the sanctuary and invitations to our special monthly donor tours. 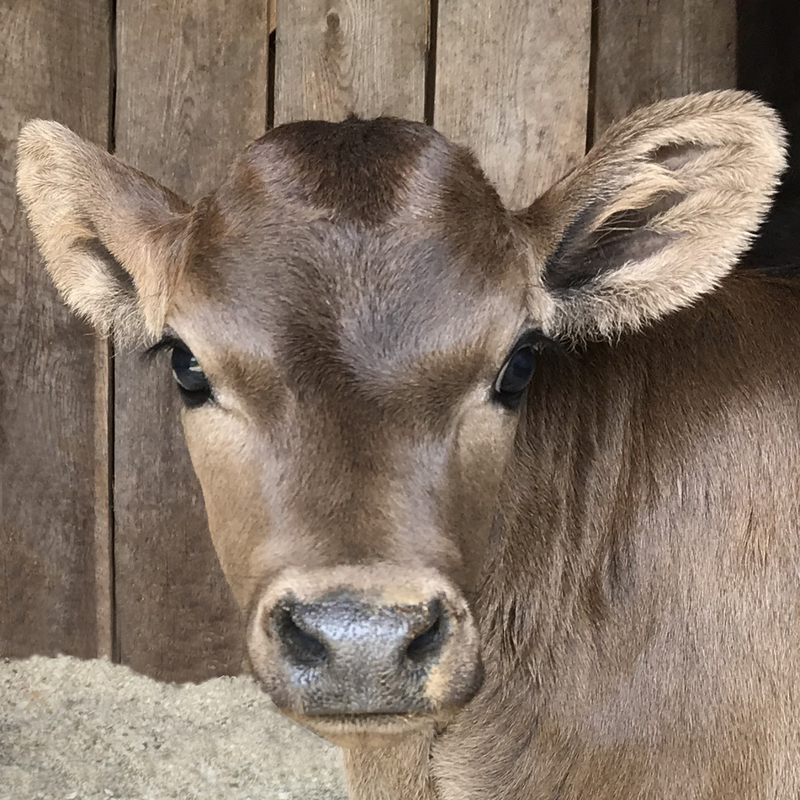 Please allow 3-4 weeks to process and receive your new sponsorship package. 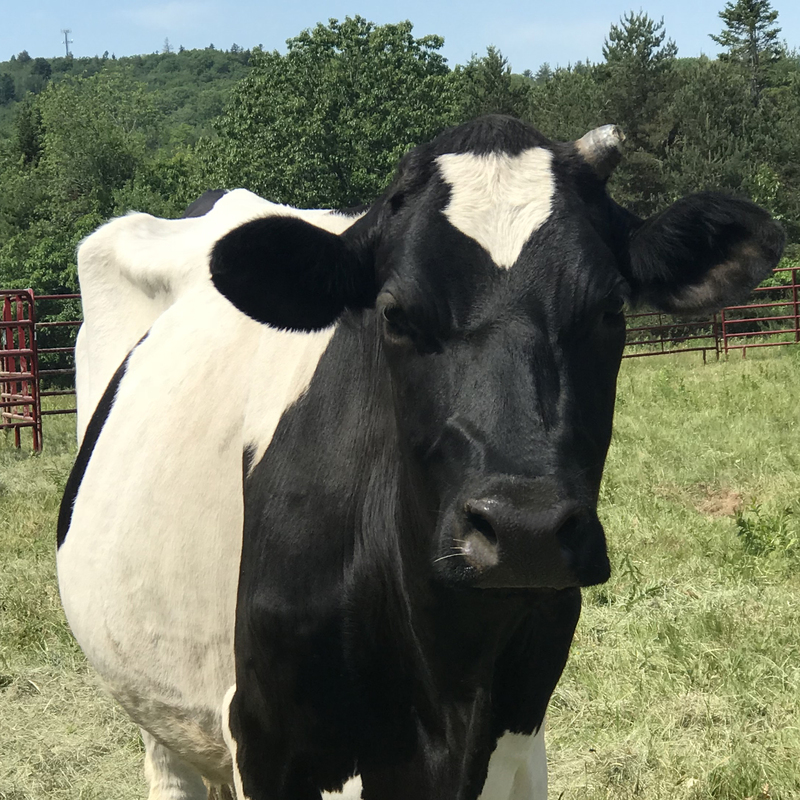 If this sponsorship is a gift, or if your package is needed by a certain date, please contact us. 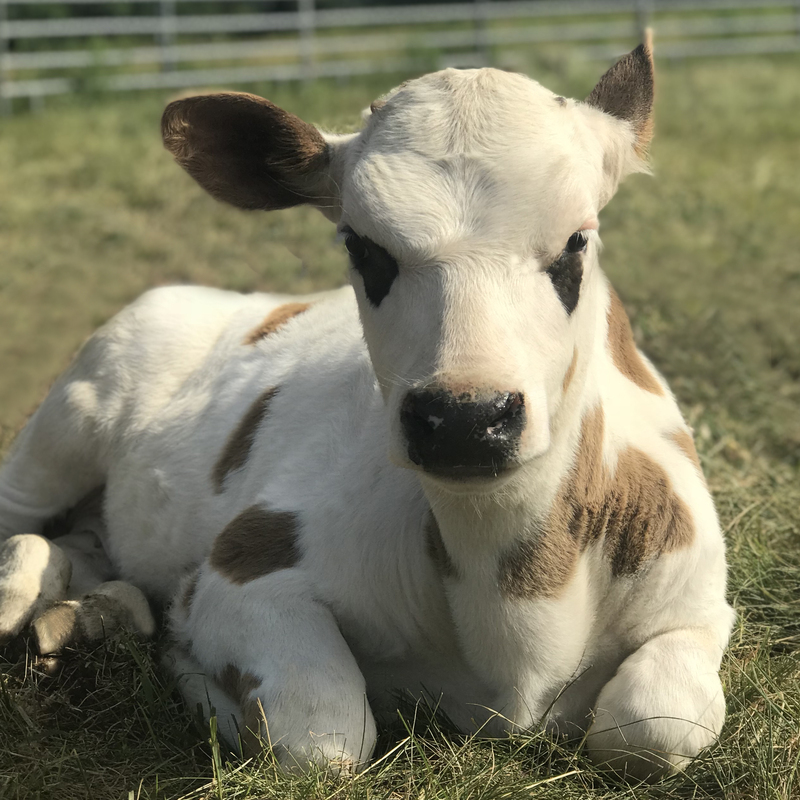 For rush orders, shipping costs may apply.